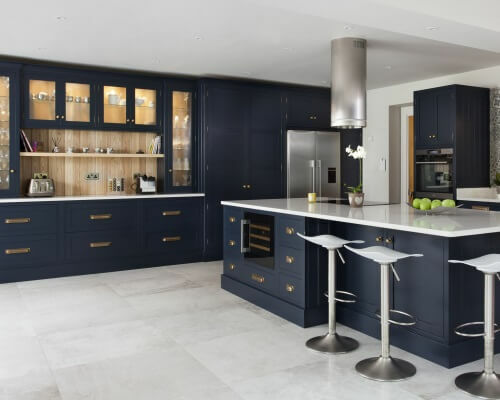 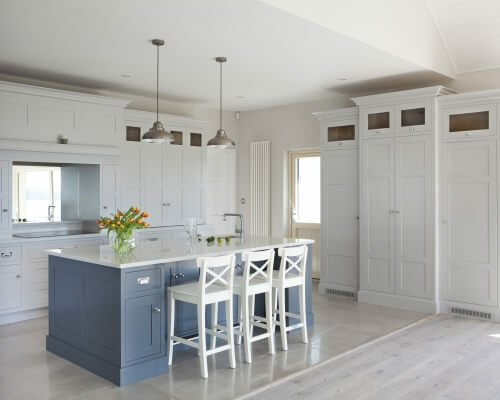 This substantial handpainted kitchen was commissioned for a Georgian style new build in the country. 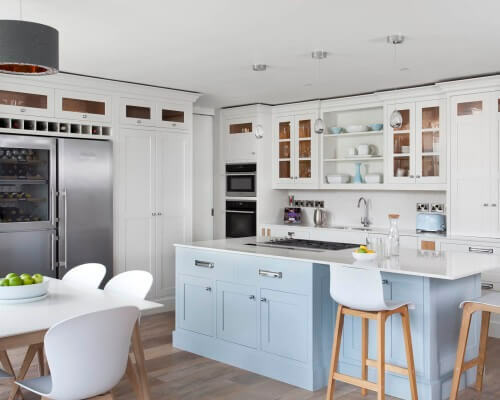 The generous portions of the room allowed for an abundance of cabinetry and clever storage. 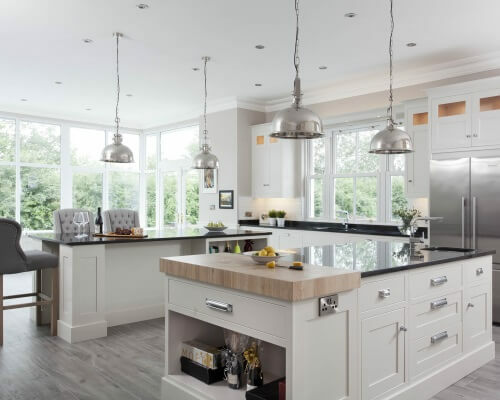 A real cooks kitchen with a bank of integrated Miele appliances, 3 hobs and 2 Lebherr fridge/freezers. 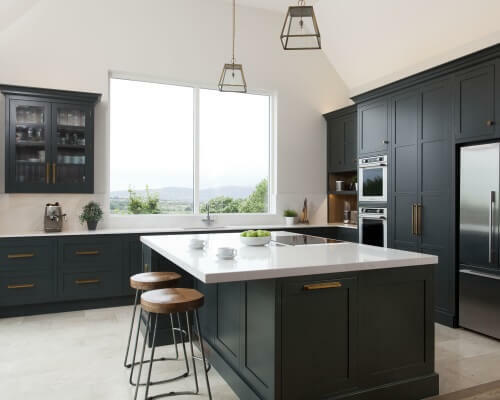 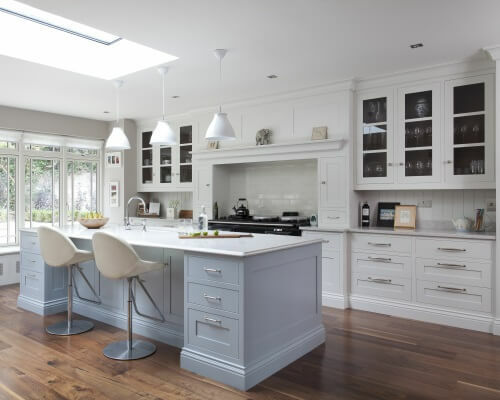 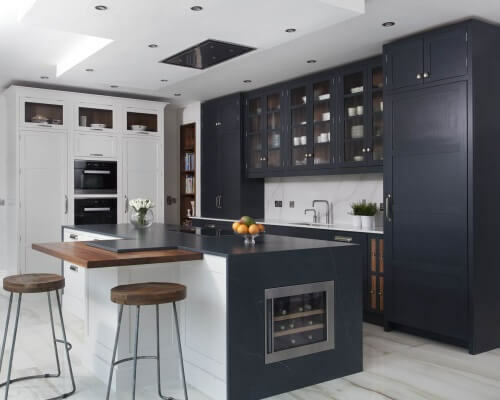 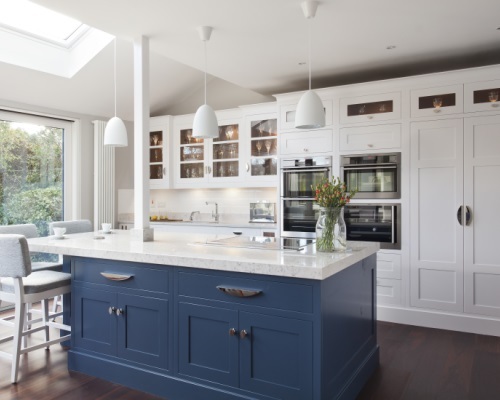 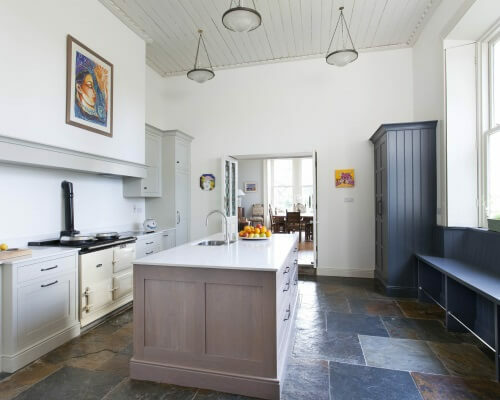 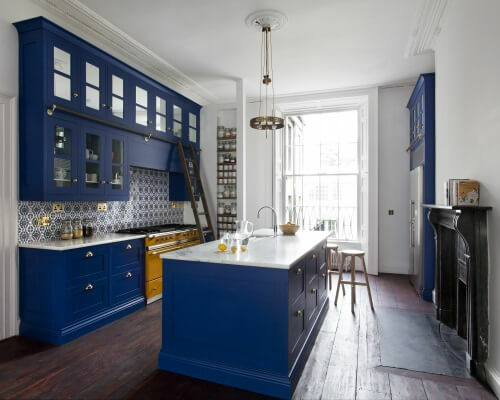 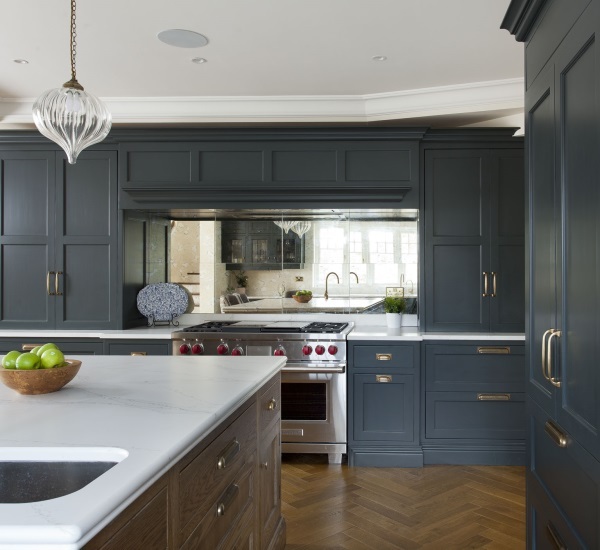 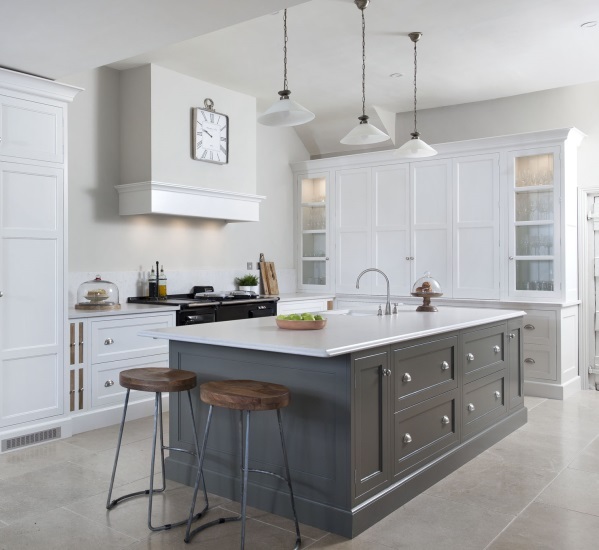 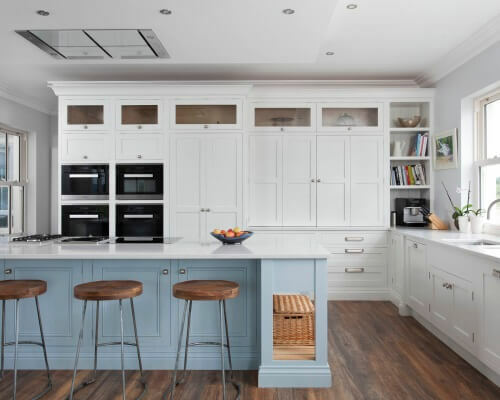 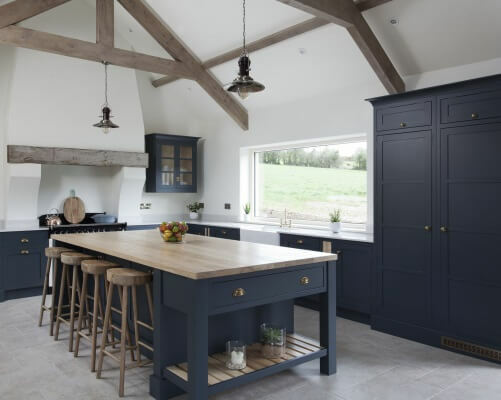 The main kitchen is painted in Strong White by Farrow and Ball with Parma Grey on the island. 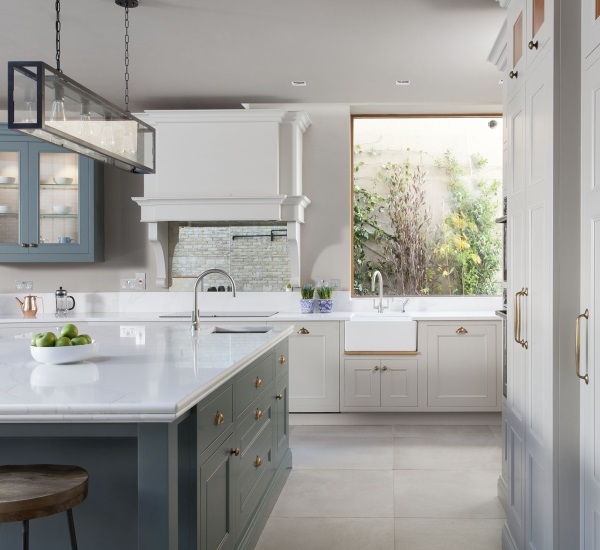 Worktops are 30mm Silestone Lyra.